The NHS in London has today (Friday 18th May) revealed the ten individuals and teams it has chosen as regional champions in a prestigious competition to mark the NHS’s 70th birthday. The champions – including a paediatrician who has transformed A&E care for children and a ‘virtual surgeon’ pioneering technology use in the operating theatre – will now vie with other regional winners from across England for a national award to be presented at a special ceremony in the Palace of Westminster in July. The NHS70 Parliamentary Awards, sponsored by IBM and Teva, recognise the massive contribution made by individuals who work in and alongside the NHS. Launched in February, the Awards asked London’s MPs to find and nominate those individuals or teams they thought have made the biggest improvements to health services in their constituencies across ten categories. From 144 entries, senior experts have chosen ten outstanding nominations, which exemplify the best of what the NHS and its partners do day in, day out. 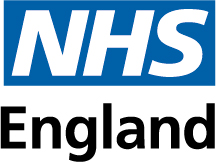 All of the champions will be invited to the national awards ceremony, which will be held on 4th July, the day before the NHS’s 70th birthday. The ceremony will be hosted by Dr Sara Kayat, NHS GP and TV Doctor best known for This Morning, Celebrity Island with Bear Grylls and GPs: Behind Closed Doors.